﻿ Get The Best Ambience With Mid-Century Floor Lamps! Get The Best Ambience With Mid-Century Floor Lamps! Get Around The Latest News in The World Of Lighting! Get The Best Ambience With Mid-Century Floor Lamps, Which gives unique atmosphere in your apartment. 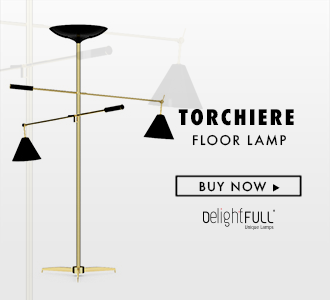 In this article, you will discover lots of different ideas how to make your apartment more modern and lighten with DelightFULL lamps! Especially with our modern lamps which are inspired by talented artists. These luxurious lamps are the perfect solution for your apartment to make it unique and different. With this lamps, you will express your individualism and make apartment perfect! GET READY WITH: WAYS TO LIGHT UP YOUR HOME DECOR IDEAS INSPIRED BY HOLLI! This unique lamp inspired by Amy Winehouse makes you apartment modern and original! The modern home decor is the perfect solution for your house. Just add this detail and make a room modern and special! This lamp is the best choice for your living room. With very sophisticated design it will fit the best for your atmosphere’s mid-century style! Botti floor lamp was inspired by the jazz musician of Chris Botti. The mid-century floor lamp is handmade in brass with a gold plated finish that reminds of a real trumpet due to its unique shape. It gives a luxurious aspect of your home decoration.